The growth and survival of plants is strongly tied to the effective balance of water loss and carbon gain. In vascular plants, the xylem tissue constitutes a hydraulic system that must supply water to the transpiring leaf surface at a rate that allows for a net positive carbon balance. The efficiency of this system is therefore of paramount importance to plant productivity and survival. However, water transported in the xylem is under tension and is therefore subject to cavitation. The resultant gas void (embolism) blocks conduits and leads to a reduction in hydraulic conductivity, which in turn can impact on leaf gas exchange and ultimately cause die back and death of the plant. We are studying how trade-offs in xylem structure and function influence the performance and distribution of plants across environmental gradients. We are particularly interested in determining the impact of drought on plant communities and in the adaptation of crop species to hotter and drier conditions. You can check out images and videos of our research in the Gallery. 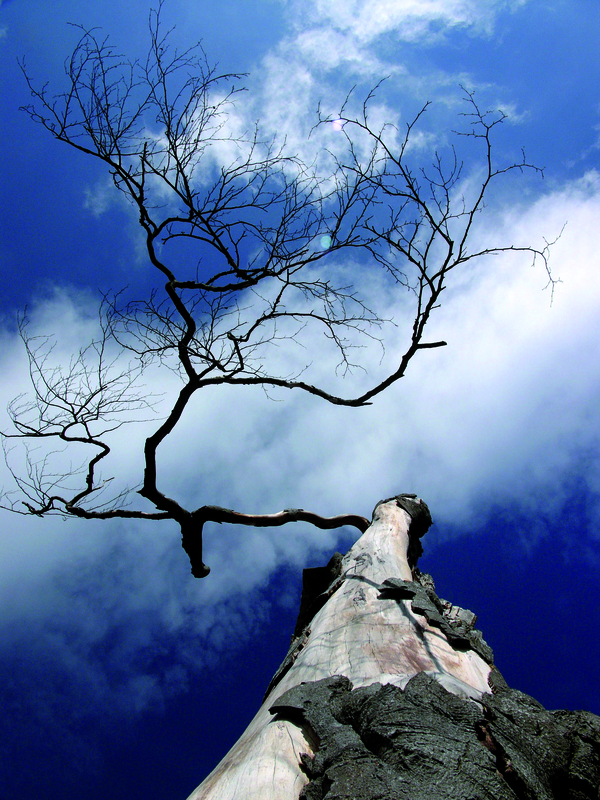 Drought is responsible for many large scale forest mortality events across the globe. These dieback events have profound effects on biodiversity and ecosystem function with flow on effects to carbon, nutrient and hydrological cycles. Making accurate predictions of vegetation response to drought requires a detailed understanding of the physiological processes that allow plants to cope with drought stress and their thresholds to mortality. Our recent work has shown that the majority of woody plant species across all forest biomes operate close to their physiological safety margins with respect to drought, rendering them vulnerable to future shifts in precipitation and temperature (Choat et al. 2012). The central aim of this project is to determine the resilience of Australian forest and woodland plant species to drought, and elucidate how future climatic conditions may alter this resilience. 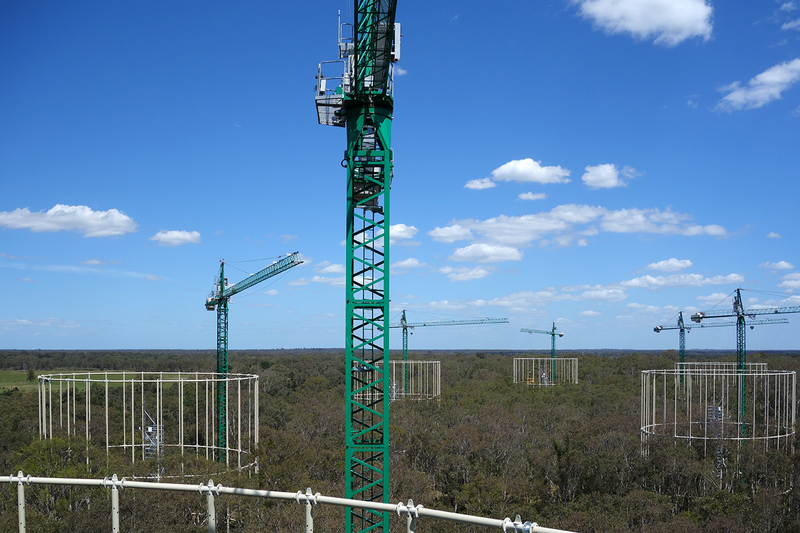 Research is currently being undertaken across a range of forest and woodland biomes utilizing the Terrestrial Ecosystem Research Network (TERN) and Australian Supersite Network (ASN) in collaboration with the TERN Plant Ecophysiology Group. 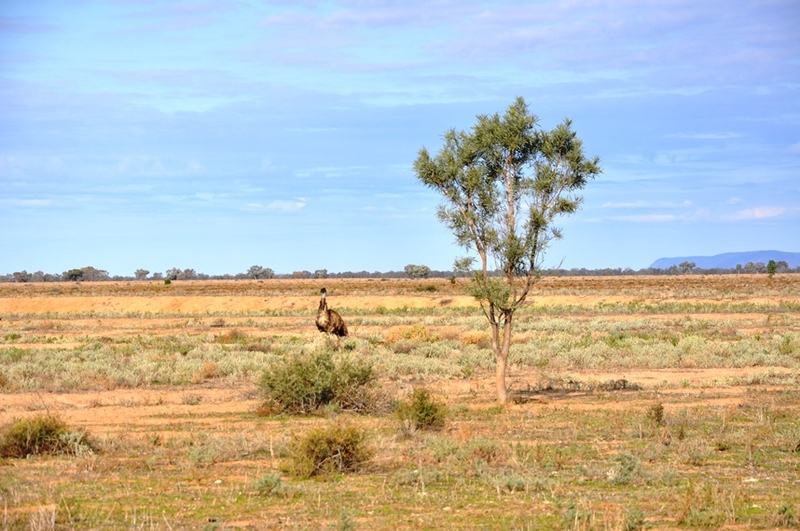 The ASN sites being monitored include the Cape Tribulation tropical rainforest and Robson Creek sites (FNQ), Cumberland Plain Woodlands (NSW), Warra tall Eucalypt Forest (TAS), Calperum Mallee (SA), the Great Western Woodlands (WA), and the Alice Mulga sites (NT). Plants have evolved a water transport system that relies on water sustaining a tensile force. Counter intuitively, this means water moves through the plant as a liquid under negative absolute pressures. This mechanism is made possible by the intricate and highly redundant plumbing system that constitutes the xylem tissue (wood) of plants. However, this transport mechanism comes with its own set of problems. Most notably, water under tension is prone to cavitation, which results in the formation of a gas bubble (embolism). Embolism reduces the capacity of the xylem tissue to deliver water to the canopy, eventually causing dieback and whole plant mortality. Xylem embolism is exacerbated by environmental stresses and is now considered one of the leading causes of plant mortality resulting from drought stress. However, progress in our understanding of plant water transport has been hampered by the inherent difficulty in observing and experimentally manipulating a transport system containing a metastable liquid. In fact, some questions may only be answered unambiguously with the aid of non-invasive methods. Non-invasive imaging techniques offer the potential to make direct observations on intact plants at high resolution and in real time and thus avoid problems associated with destructive methods. 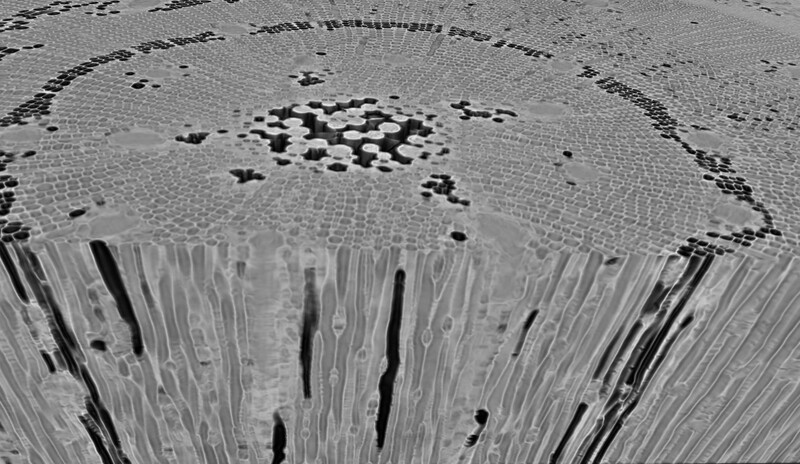 We are using non-invasive imaging technologies such as X-ray Micro Computed Tomography (microCT) and Magnetic Resonance Imaging (MRI) to directly visualize xylem function in living, intact plants. This research is being undertaken at a number of facilities including the Advanced Light Source, the Swiss Light Source and the Australian Synchrotron. We are examining a number of unresolved questions including (a) how is cavitation is nucleated within the xylem and how it then spreads though the network of conduits during periods of environmental stress, and (b) is there a widespread mechanism of embolism repair that allows plants to refill embolised conduits after drought? Improving irrigation efficiency and drought tolerance are key challenges for the agricultural and horticultural industries, particularly in the face of climate change. We are addressing key issues of the industry related to increasing irrigation efficiency whist maintaining productivity. Current methods for irrigation scheduling primarily rely on measurements of soil water status, in conjunction with simple methods to calculate crop water requirements (based, for example, on rates of potential evapotranspiration and a crop coefficient). A problem with soil-based measurements is that the plant’s response to soil water levels depends on many other factors, including evaporative demand (temperature, humidity), plant water transport capacity, canopy size, planting density, species, and so on. Direct measurement of plant water status is superior because these measurements provide direct information on the apparent stress levels experienced by the plants. Although measurements of plant water status are strongly related to plant performance and yield in a range of crop species measurement of this variable has until recently been laborious and not automated. Our approach involves deploying a new generation of wireless sensors, which provide continuous output of plant water status and water use. Data are streamed continuously and are available to farmers via smartphone and tablet applications. Further details on the project and consortium can be found on the HIE website here. The multiple patterns of xylem structure reflect how evolution has resolved different constraints to achieve adequate distribution of water throughout complex vascular networks. Accordingly, the water transport system is considered as a primary site of adaptation involved in determining the ability of woody plants to survive under different rainfall regimes and to recover after water stress. Although an increasing literature in the last decades shows that plants from drier habitats possess safer xylem, recent studies indicate that the majority of angiosperms operate close to their functional limits and they are therefore exposed to xylem failure during anomalously low rainfall. In this sense, a number of crucial knowledge gaps limit our ability to predict how woody plants will respond to changing environmental conditions. First, there are scant data describing the extent to which trees can adjust the structure of the xylem tissue to meet transpirations needs or increase mechanical stability, i.e. how plastic is the xylem, and related changes in biomass allocation. Second, it remains uncertain whether the constraints and potential costs associated with xylem plasticity over a tree’s lifespan can overcome species responses to rapid changes. Further, we do not fully understand the resource allocation of plants growing under elevated CO2, with higher rates of C fixation from stimulated photosynthesis. Discerning between genetic variation and the effect of the environment on the xylem structure and function as well as different plastic responses between and within species (genotype x environment interaction) will enhance our ability to anticipate the future of forested ecosystems, improve managing practices and breeding efforts. We are currently investigation intraspecific variation in hydraulic traits of a number of native Australian species. Forest systems contain approximately half of the carbon held on the planet, with much of this forest carbon locked up in wood. The structural and physiological traits of woody tissue (xylem) strongly influence growth, mortality and decomposition rates of trees. Knowledge of these characteristics is therefore key to understanding forest carbon, nutrient and hydrological cycles. Although wood represents the majority (>90%) of biomass of a mature tree, the xylem traits are understudied compared with leaf traits. This represents a fundamental knowledge gap in what is required to make predictions about plant and ecosystem function. To address this knowledge gap we are examining xylem traits that control hydraulic efficiency, stress tolerance, construction cost, and growth rates. Overall, the structure of xylem can be represented as a series of cost-benefit trade-offs where conductive efficiency and low construction cost are balanced against safety from dysfunction and increased biomechanical support. Although wood traits have recently received considerable attention, we still lack a clear understanding of how these trade-offs are coordinated across broad geographical and taxonomic scales. A recent data synthesis of xylem functional traits is allowing us to examine these trade-offs in a quantitative manner. The database includes trait values for 2072 specimens (21 ferns, 478 gymnosperms, 1573 angiosperms) and 1077 unique species. The database is focused on vulnerability to embolism (P50) and hydraulic conductivity (KS and KL) but contains data for around 80 traits, including anatomical and biomechanical traits, leaf phenology, morphology and environmental data. More information on the database is available here. 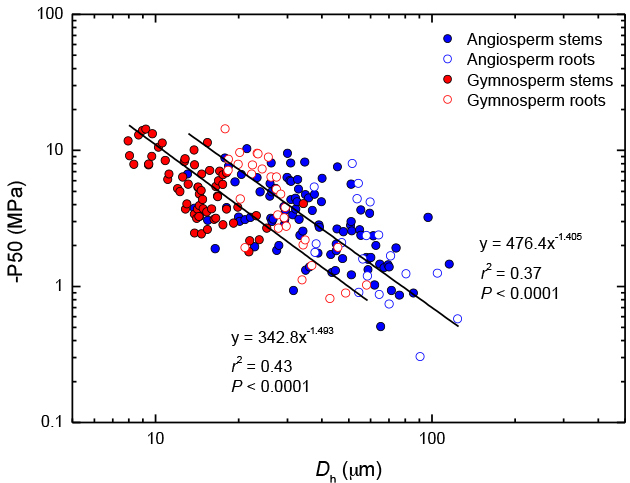 We are testing the hypothesis that xylem traits are broadly coordinated along a single axis with fast growing, hydraulically efficient species at one end and slow growing, stress tolerant species at the other. The project draws on analysis of the xylem functional traits database and is complemented by common garden experiments and field measurements. These data are important to models describing how xylem functional traits influence species distribution across physical gradients and deliver increased accuracy for estimates of regional carbon budgets for terrestrial ecosystems. In the past two centuries, rapid fossil fuel consumption and land-use changes have increased atmospheric CO2 concentration from 280 ppm to 390 ppm, and by the end of this century it is predicted to exceed 550 ppm (IPCC 2007). Increasing CO2 concentration is anticipated to generate an increase in global mean surface temperature of 1.9-4.4 °C (IPCC 2007). In Australia, the average air temperature has increased 0.9 °C since 1950 with a warming of an additional 0.3-3.4 °C anticipated by 2050 for areas within 800 km of the coast (IPCC 2007). Associated with rising CO2 concentration and temperature are predictions for increased precipitation variability, generating a greater number of extreme drought events and protracted impacts on landscape water balance (IPCC 2007). Exposure to elevated atmospheric CO2 concentrations generally leads to reduced stomatal aperture and higher rates of photosynthesis in plants, resulting in an increase in the ratio of carbon gain through photosynthesis to water lost via transpiration. This silver lining is potentially of great benefit to plants in terms of increased growth rates and lower water use. However, these gains may be offset by droughts and heatwaves of increasing severity. Utilizing a unique set of facilities at the UWS Hawkesbury Institute for the Environment, we are examining the interactive effects of increasing temperature and atmospheric CO2 concentration on the drought sensitivity of Australian woody plant species.